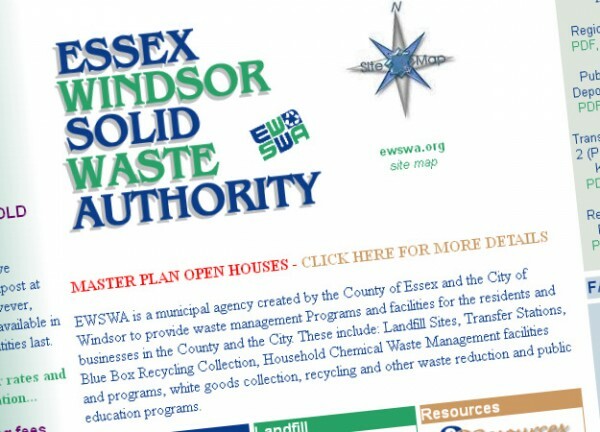 The Essex‐Windsor Solid Waste Authority is currently conducting a Solid Waste Management Master Plan Review as it evaluates the future of Windsor and Essex County’s landfills. Determining the best possible ways to lessen the amount of waste we send to our local landfill by improving on the blue & red box recycling program and enhancing the organics program. Types of programs that could implemented include: bag limits; pay‐as‐you‐throw (PAYT); incentive programs, clear garbage bag programs; and backyard composting. Investigating the feasibility of expanding all the current organics management programs, e.g. kitchen food waste and yard waste such as leaves, grass, tree trimmings, and brush.